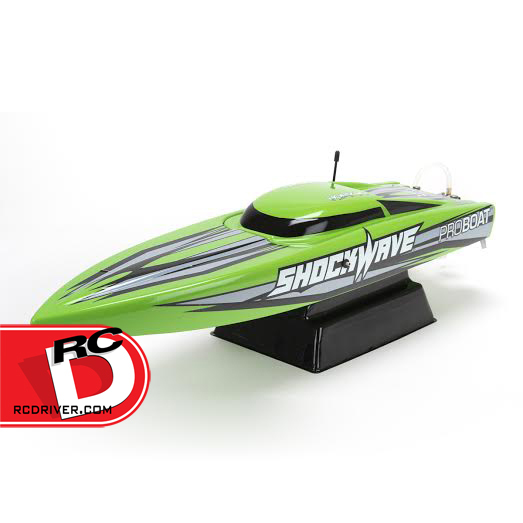 The Shockwave 26-inch Deep-V features a Dynamite 2000Kv brushless power system with 30A speed control will allow the user to run NiMH batteries or LiPo batteries. Speaking of LiPo, when using a 3S pack this boat can hit speeds of 25 mph. It also utilizes an off-Set aluminum rudder to ensure the Shockwave 26 will turn well in both directions. Shockwave 26 will come with everything included except for a battery and charger.